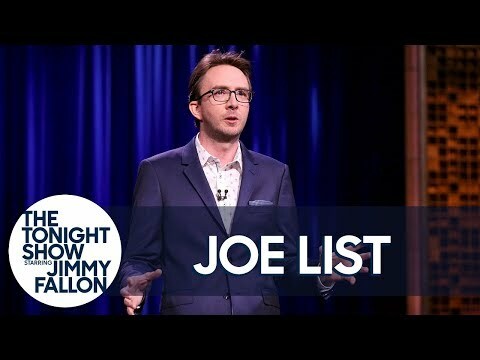 Joe List began his comedy career in Boston, Massachusetts in 2000 just weeks after graduating from high school. Since that time he has been featured on The Late Show with David Letterman, has made multiple appearances on Conan, and just performed on The Tonight Show starring Jimmy Fallon. He’s featured in Season 2 of the Netflix series The Stand Ups. In 2015 List was a finalist on NBC's Last Comic Standing and had his own Half Hour comedy special on Comedy Central. His albums So Far No Good and Are You Mad at Me? can be heard regularly on Sirius Radio. List is also the co-host of his own popular weekly podcast Tuesdays with Stories. When not headlining comedy clubs all over North America, List is a regular at the Comedy Cellar in New York City.